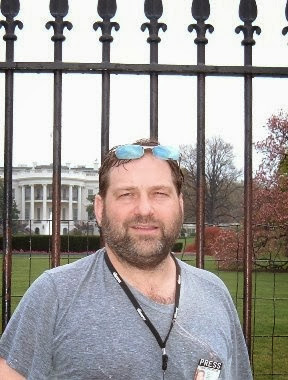 Above picture is Steven G. Erickson after having dealt with the Washington DC Secret Service in front of the White House. Video is also [on this channel] it is my LiveLeak.com channel, check it out. The key video to go with this post is now available on youtube [click here]. I had a problem with the DHS, illegal domestic spying and phone tapping by police, out of control policing, rigged courts, and had gotten a tip from a retired police officer about the NSA spying program. I only knew about the 24/7 total surveillance of the self-employed, non-corporate farmers, mouthy bloggers, independent journalists, and potential internal whistle blowers. I did not know it was everyone all the time. An elected official such as Vermont US Senator Patrick Leahy could have acted for Americans in America, not international corporate organized crime and banker cartel. It seems that he, other officials, bosses in the court system, spy agencies, and big wigs in policing have chosen sides. Should the FBI be able to illegally domestically spy on you by turning you phone camera and microphone on with a red dot showing and without you knowing. Well the FBI admits to the Washington Post that you are carrying around a 24/7 domestic spying device, your cell phone. If you watch television with a new set or have a newer computer the FBI or any other hacker can view and listen to you in your own home. http://www.liveleak.com/view?i=c81_1386741612 LiveLeak video on the subject. Leahy helped author the Patriot Act and may have been consulted pre-9/11. Leahy voted for the NDAA. That mean lawyers are now useless if you can be officially legally kidnapped, tortured, indefinitely detained, and even murdered because some official or international corporate big wig puts you on a list. http://starkravingviking.blogspot.com/2013/12/is-senator-patrick-leahy-fixture-like.html Also if Leahy and others are just rubber stamps aren't they now useless, needing to just be laid off? If Americans are spending $40,000 to $50,000 a year to spy on themselves, can we the people afford this AND WHO BENEFITS? It is obviously that it is not Americans in America. The 2nd embedded video is of poor audio quality. It is from 2008 and file sizes that were allowed were not big. A US Marine returning home to Colchester, Connecticut, found himself being kidnapped by police and then tortured at Troop K State Police HQ. 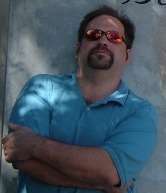 Stephen Murzin may have been retaliated upon as was his younger brother Ian, 17 at the time, for being the sons of Rich Murzin a former Hartford Connecticut Narcotics Detective who had gone against his captains orders to not arrest police preferred Mafia connected heroin and cocaine dealers. Ian was torture and may have been "choked out" by police having to brought back to life. Because Stephen complained about the above, police paid Todd Vashon $10,000 to kill Stephen Murzin. Vashon got cold feet and went to local television news stations and went on tv. http://thegetjusticecoalition.blogspot.com/2007/01/beyond-ridiculous.html videos and story. And when Vashon got cold feet, felon on probation, David J. Taylor was hired by Connecticut police and then stabbed Stephen Murzin 13 times. When Stephen woke up in the hospital he was then handcuffed to his gurney and arrested for having caused a disturbance being stabbed facing 6 months in prison. Fitting for a US Marine, right? David J. Taylor was not arrested of violated on probation for almost murdering 3 people. Can you say "Rigged Courts"? The 3rd embedded video is a voicemail sent to me Spring 2011. Rich left a voicemail that AJ Fontaine had just died of natural causes. I then called Rich Murzin and his family had told me he had just died. Rich Murzin, AJ Fontain, and I were to work on a documentary and/or public access television show about a week or two after the date they both just suddenly died of natural causes. The subject of the show was going to be NSA spying, the DHS, TSA, Connecticut State Police and DCF involved in trafficking heroin and cocaine, racketeering, public corruption, banking scams, and how courts are rigged. AJ and Rich had documents and evidence. I did not have any in my possession. Both AJ and Rich were both in Connecticut not too far up from Sandyhook Newtown Connecticut. If all above is what I know to be true, 100%, then I have no problem believing in my heart that the Connecticut State Police, or their operatives, are capable of shooting children in a school and blaming a patsy to help the Police State eliminate the 2nd Amendment and US Constitution. Note: double click inside video to make full size. The video then will not have its right side clipped off. Press Escape key to get back to previous page. .